The client requested the story behind the image. I replied the picture was a pictorial poem to the sea. Traditionally, in old aquatic stories, mermaid’s are sirens luring sailors, and men in general, onto rocks of disaster. The mermaid in this image illustrates that part of the human psyche which is feminine and caring. She is protector of aquatic life from industrial level of plunder for profit that reflects masculine action. 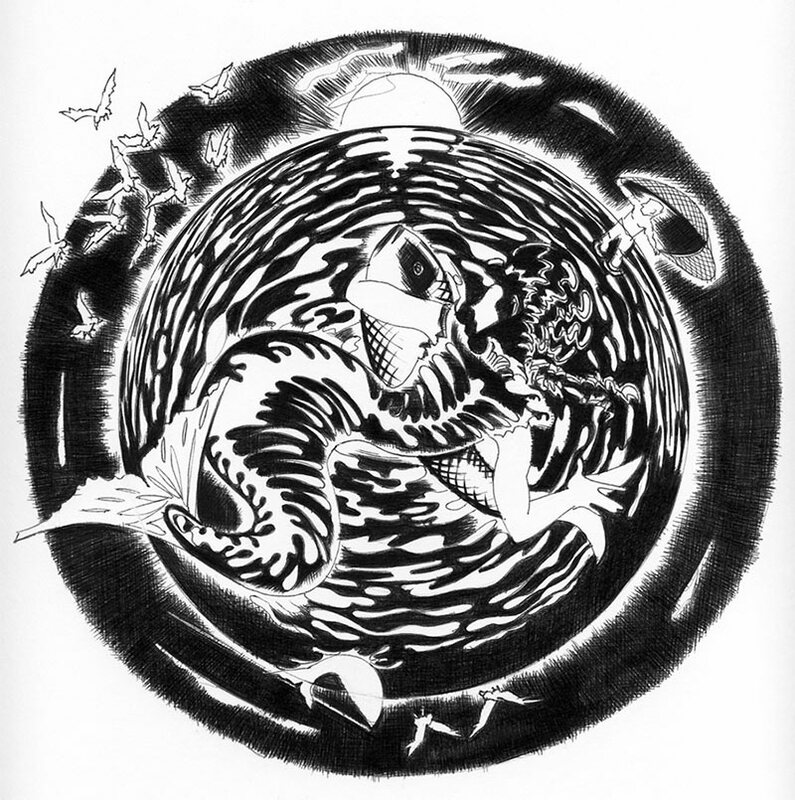 The mermaid is the caring centre of a globe whose outer edges represent plunder, from flocks of seabirds signalling heavy fishing to the casting of nets and fish caught on line.